COUSINS are a garage pop duo from Halifax, Nova Scotia, whose music plays considerably brighter and more summery than the cold, wet part of the world they hail from. Their third album, The Halls Of Wickwire, just dropped on Ba Da Bing and Hand Drawn Dracula Records. It’s been more than two years since Cousins released their last full-length, and it’s fair to say they’ve used the time to refine their sound and focus more on production. Guitarist Aaron Mangle and drummer Leigh Dotey fill an impressive amount of space and create some satisfying sonic textures for just the two of them. Guitars buzz and shimmer, drums pound, and the pair moan behind the wall of sound. The album’s volume alone is remarkable — everything is heavily compressed, giving the songs an explosive feel that’s difficult to achieve without additional instruments. The Halls Of Wickwire has a nice dynamism to it. The first three tracks are sweet and poppy, with memorable vocal lines (“You came back to the oceaaaaan!” and “No one should be alone” stand out) and big crescendos that give them a dose of raucousness. By the end of “Alone,” the third cut, things begin to feel a little static, but fortunately Cousins deliver. 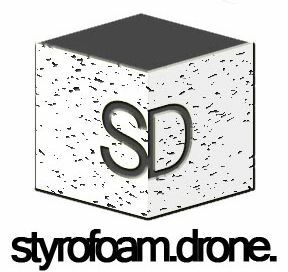 “At Odds” is a spare, lonely number that features Mangle crooning wearily over a stripped guitar line and minimal percussion. The thick fuzz and crashing drums don’t reenter until the pulsing chorus almost two minutes later, and the song rolls out as quietly and creepily as it began. 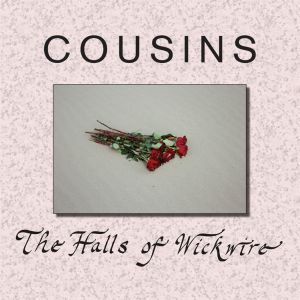 The Halls Of Wickwire’s weak cuts distract from the more thoughtful songs, leaving the impression that the album might have worked better cover-to-cover if Cousins had shaved it down to a concise EP. Nevertheless, it’s still a worthwhile listen. Cousins are on tour in the U.S. now. Posted on July 2, 2014 July 2, 2014 by Derek HawkinsPosted in LP, ReviewsTagged alternative, Ba Da Bing, Cousins, garage rock, Hand Drawn Dracula, LP, pop, The Halls of Wickwire.